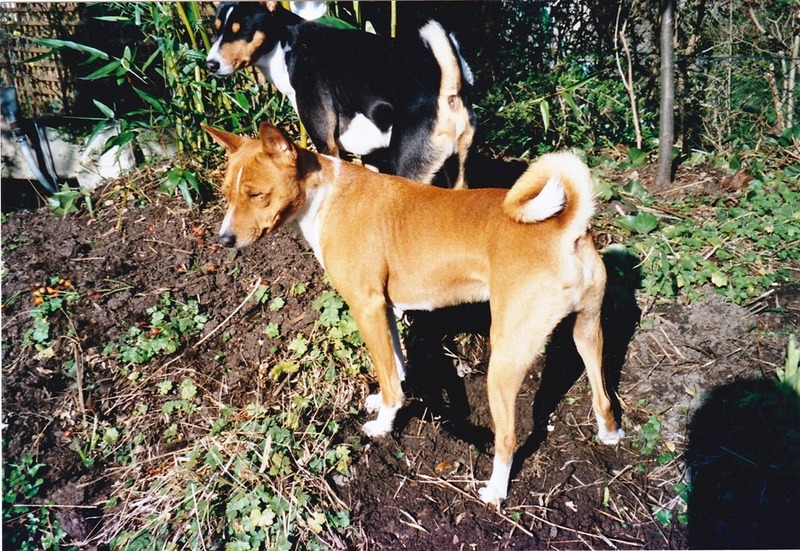 As we began to realize the plan for our first very own garden our first Basenjis were still alive. 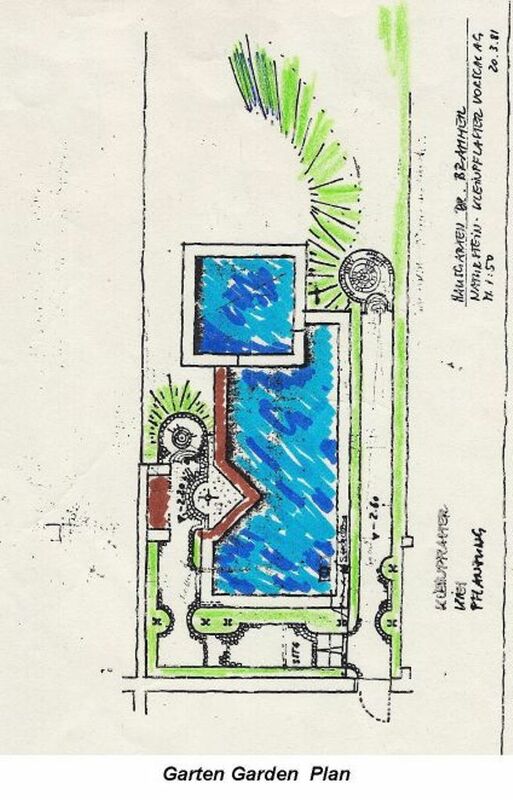 They took possession of the old garden with great joy and diligently helped us make all the changes we had planned. In spite of all our work to create a garden close to nature, we were not happy with the results and asked a garden architect to advise us. The results of his plan surprised us and the dogs too. Over time wild animals migrated to our small garden and found a safe and peaceful refuge in the middle of the city. 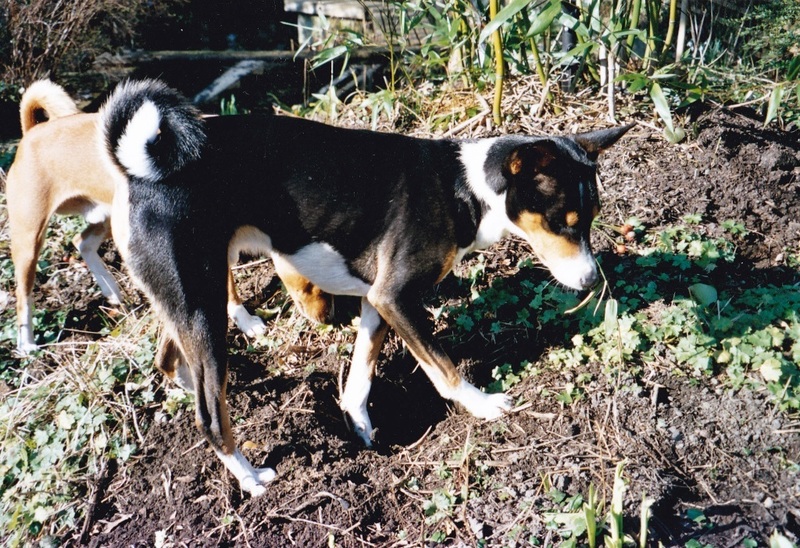 We increasingly found relaxation and joy in observing the animals and the playfulness of our Basenjis. Now many years have passed, the garden has grown and the original plan can barely be discerned, but it has become a paradise for wild animals in which we people hardly have any room. Plants, wild animals and our new Basenjis have built up an ideal relationship. I wanted to create a place of freedom for our Basenjis. I'm happy with the result. It is a special joy for me that my wish to create garden pictures, has developed into a never ending process. Even the last change which turned half of our garden into a pond, was a great success. From time to time nature or my own ideas force me to make changes that cause exciting results. I only interfere with nature when growth and density need some help. Seasons change the garden pictures too. I cordially invite you to take a look and perhaps find some inspiration to give wild nature a chance. If I have aroused your interest, then have a look on the photos.